If there was any recipe I wanted to share so bad, it is this one. When you hear Ayamase Roti what comes to mind? This is just simply Ayamase loaded with deliciously cooked, tender meat and soft potatoes wrapped in a flat bread. when you think of a Roti, you’re probably thinking Indian food. When I first heard of this recipe from my friend Remmy (@elimavenue on Instagram), I was like “hmmm Ayamase sauce in a Roti? I thought about how I was going to slather a Roti with stew and meat; only for her to say the word “add potatoes!” Crazy right? Well, crazy good! Imagine all your soft and tender meat with Iru in tow; all in a Roti. In fact this Roti will replace white rice in my life :). One thing I want to do for this world, is to introduce as many people as I can to Nigerian food. I can confidently say you have not really lived until you have had Nigerian food. Not to talk of fusing Nigerian food with dishes from other countries? Epic! 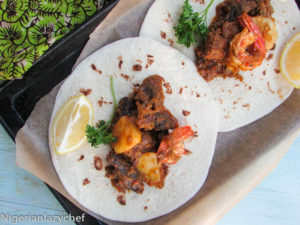 I like the idea of using a Roti in this recipe, but if you cannot find or make any, you may use a burrito/taco wrap. same difference? Gone are the days of Shwarma and ice cream. We are moving on to hip stuff like Ayamase Roti and ice cream. The deliciousness that this meal actually is. To those who do not know what Ayamase is, it’s simply a sauce cooked in bleached palm oil and with green bell peppers, spicy green habaneros and green tomatoes(where the tomatoes are optional). Usually this sauce is made to be really spicy, but you can always tweak it to fit your taste. And any Ayamase recipe can be used for this dish. 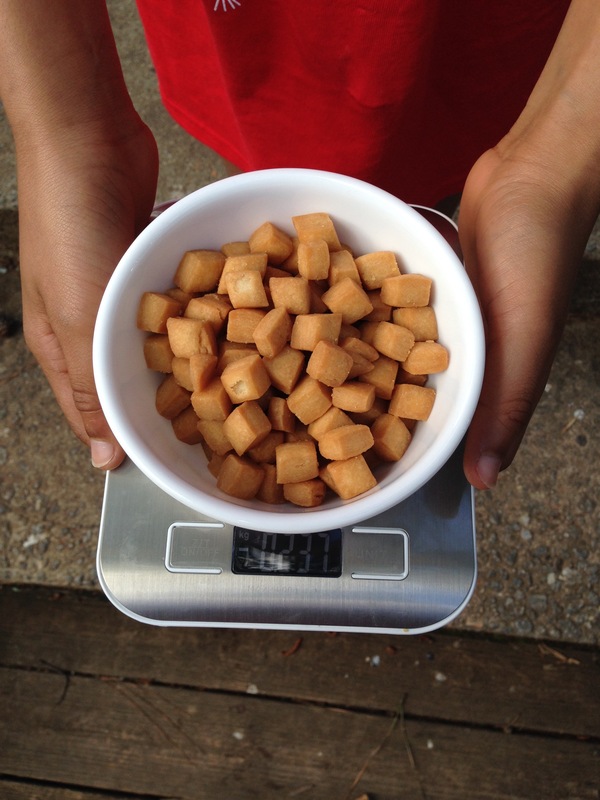 Pause…I have always wanted a food measuring scale. Fortunately, I got a digital one sent to me by Amir on Amazon. It was just better than getting a manual one. It comes in a light weight box with ready to use batteries(someone say convenient). 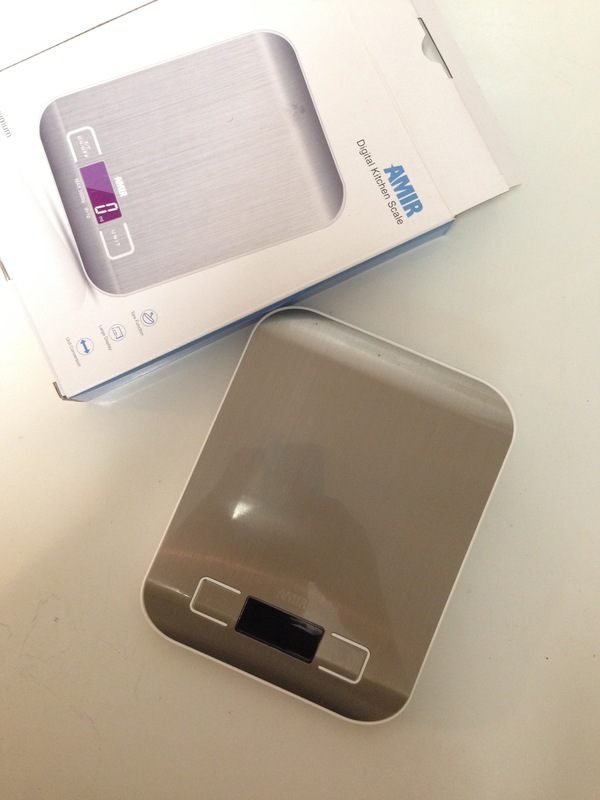 Not only is the food scale light weight it stores well without taking too much space. I tried measuring some chinchin with it and it was very accurate. I like test driving kitchen gadgets like this. This na when freebie no purge belle o! To get a 40% discount on this food scale, please send a message the Amir official page; mentioning that you heard of their product here first! And I promise, you will enjoy it. It’s worth the purchase folks! Okay lets face the recipe! I love recipes like this. It shows the versatility of Nigerian food. 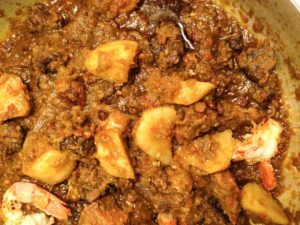 A lot of us are of the school of thought that the Nigerian food menu comes off as too rigid. I wish you could just see and be amazed. Anyway, that’s what I’m here for innit?! Forgive my pictures. I am having camera issues. I am trusting God for a new camera so I will return to taking great pictures. But for what I have, it’s good enough to show you the general idea. Enjoy! Add the potatoes and turn the heat to low. Let it soak in the sauce for about 5 minutes. set aside, load the Roti, wrap and enjoy. Another method is to make the Ayamase from scratch, add the raw potatoes and let it cook along with the stew and soak in the juices of the sauce. 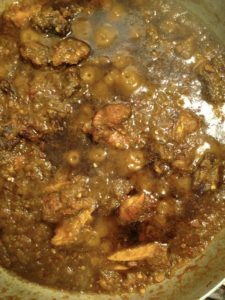 This entry was posted in sandwiches and wraps, Shawama, Shawarma, Stews, Uncategorized and tagged amir digital food scale, ayamase, ayamase roti, Nigerian food blog, Nigerian roti, Ofada, roti. Looks like something I will enjoy noshing on. As always, thanks for sharing. I love wraps! !… ayamase sauce tho… I have to google that! Looks yummy & spicy!